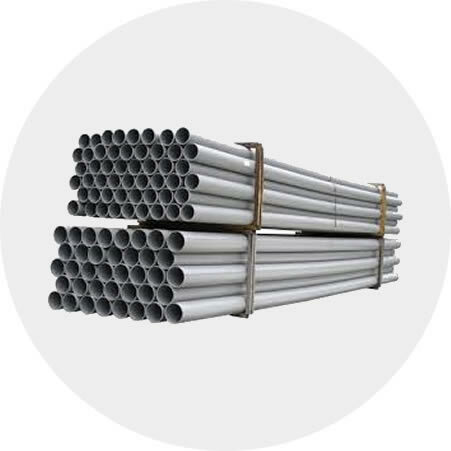 Pvc Pressure Pipes for Drinking Water are produced from 100% PVC raw materials in accordance with TSE CEN/TS 1452-7:2014 and TS EN ISO 1452-4:2011 quality standard. Recycling and waste materials are not used in our production. We also produce DIN and other standards according to the customer's request. Pvc Pipe Production at 20 mm - 400 mm diameter range and 6-8-10-16 Bar pressure. PVC pipes are used in the fishery networks of pressure water, agricultural irrigation networks, waste water networks, sewerage and wastewater networks, industrial and chemical plants, hydrant networks, pool applications, evacuation lines, cable protection and isolation fishery industries, and fire networks. Contact now for Pvc Pipes price list. PVC pipe does not give taste or smell to the water that is being transported inside. It does not react with water like metal pipes. The smooth inner wall surface of PVC prevents water pollution by preventing biofilm formation. PVC water pressure pipes are resistant to underground external corrosion and inner pipe corrosion. PVC pressure water pipes do not compromise durability. PVC pipes are used for almost all chemicals in domestic and industrial wastewater. They are resistant. 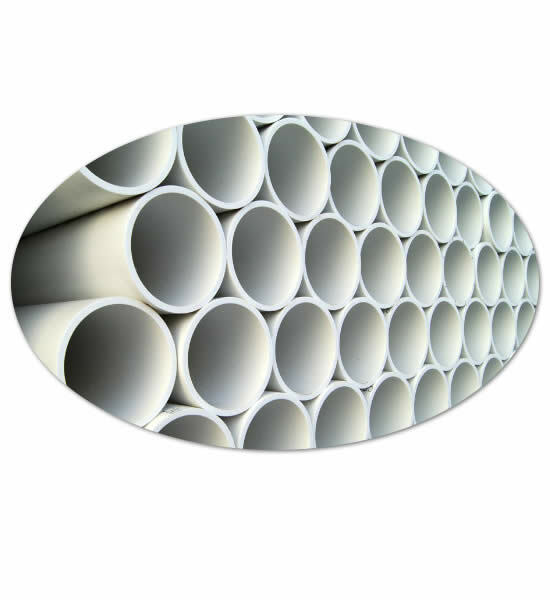 In addition, PVC pipe is highly resistant to erosion and wear. Waterproof joints significantly reduce leakage in treatment plants. 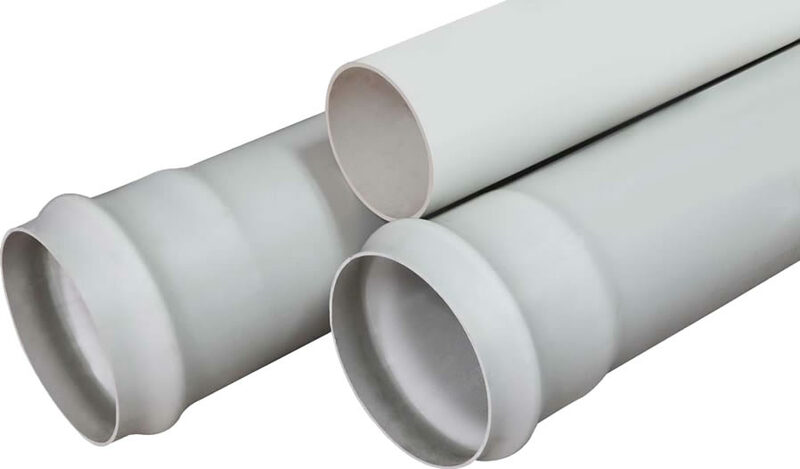 PVC pipe smooth inner wall surface minimizes fluid friction and flow resistance. Operational costs are reduced by reducing the need for cleaning and maintenance. There is also the ability to bend or flex when PVC pipes are exposed to excessive loads. This ensures that you do not need any extra care. It is easy to transport and install because it is light. The sealed, plumbed PVC pipe connections are simple and easy to install, testable and can be put into service quickly. It can be used for many years. The pipe should be cut at a 90 ° angle. 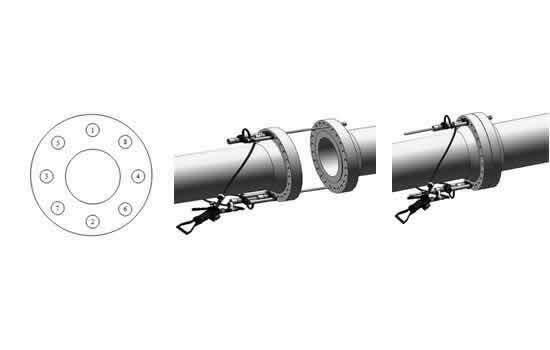 Crushing at the end of the pipe should be done at a angle of 15 ° and within the range of 1-2 mm for Ø20- Ø50 diameter range and 3-6 mm for Ø63- Ø400 diameter range. The surface to be bonded must be thoroughly cleaned, dirt should not remain and should even be sanded if necessary. After cleansing, it should not be touched by hand. After checking the consistency of the adhesive, it should be applied with the appropriate brush to the diameter of the pipe so that there is no space left. It should be allowed to dry for 8 hours between -5 ° and 30 °. Pressure test can be performed after 24 hours. This method involves combining two compatible threads (male and female) by screwing. In this process, filling material must be placed between the two parts. The point to note is the amount of filler material. The gasket joint provides leakproof. The gasket is inserted into the recesses of the gasket. After placing the gasket, liquid soap is applied to the tip to make it slippery. The two pieces are joined together by pushing them up to the muf bed. Note that the gasket inside the piece does not slip. In the flanged connection of PVC pipe as a joining tool the collar is used. The gasket is used as a joining element between the surface opposite the collar surface. The surface of the collar must be smooth and parallel to each other. For PVC Pressure Pipes, the trench floor must be rockless and smooth. The width of the trench base is calculated by adding 40 cm of PVC pipe diameter. If the floor determined by considering the standard climatic conditions is required, the appropriate bed material should be laid on the floor between 1 and 1.5 m. Sharp material, pointed stone, rock fragments etc. in the filling material to be used. There should be no hard parts. The PVC pipe must be prepared before the furnace is started to be laid and about 15 cm without stone should be placed. Carefully, the made-up bed should be laid with PVC pipes and fit comfortably. Side fillings are made by hand and compressed until the end of the pipe. Padding material is poured again up to 15 cm high so as to cover the top of the pipe and compression is made so that it does not come onto the pipe via the machine. The remaining filling material is placed. Compression is carried out again through the machine without filling it up to 25 cm. The earth filling on the pipe must not be mechanically clamped on the pipe until it is 30 cm long. Concrete should not be poured over the pipe because the pipes lose their flexibility. The recommended cover height is 0.9 mm. Where the climate is cold, frost may be dangerous, so it should be buried deep enough to prevent freezing. PVC pipes are light compared to other pipe types and they are easy to transport. Shipping cost is low due to lightness. There are considerations to be taken into account during storage and transportation. Care should be taken not to deform the pipes and pipe fittings in order not to break them. The bore portions of the pipes must not touch the place during the storage and transportation periods. Support should be placed under the pipe in contact. During this time, they must be covered in order not to enter foreign objects as dirt, etc., into the pipes.. If the pipes are to be placed on top of each other, the bare parts of the pipes should not touch each other. In other words, the pipes must be placed opposite to each other. WHAT IS PVC RAW MATERIAL? PVC raw material is a white substance with many positive properties. It was in 1930 that PVC was started to be used in industrial production in 1875. PVC raw material is obtained as a result of the reaction with one of ethylene (obtained by processing a series of crude oil) in chlorine and C ratio.Due to the low oil production and low cost of production PVC raw material has a great advantage over other Polyethylene and Polypropylene raw materials. The rate of ethylene use in polyethylene and polypropylene raw materials? This ratio is C in PVC. Although PVC raw material uses less of the world oil reserves its dependence on oil is less. How is PVC Raw Materials Formed? Pvc raw material is produced by polymerizing the chlorine gas obtained by the removal of the salt by electrolysis method and by the interaction of ethylene gas obtained by distillation of the crude oil.The polymerization process takes place in a closed reactor. This is used to ensure that raw material inputs are monitored at every stage of the process. Sea water is electrolyzed to obtain chlorine gas. The result of this process is the sea water; chlorine gas caustic soda and hydrogen.The process of obtaining ethylene gas requires more chemical processes by looking at chlorine gas. Let's look at the process to be done;First of all distillation of crude oil is provided by an intermediate called ta naphta. This 'naphta' intermediate is subjected to the 'catalytic cracking' treatment using chemical catalyst. As the chlorine and ethylene substances are in the form of "gas" the reaction of these compounds leads to the formation of the ECD substance of Etandichlorine followed by the addition of end-to-end vinyl chloride molecules to form large molecules and to obtain Polyvinylchloride PVC raw material. What is the cause of degradation of PVC? How long is the lifetime? There are two reasons for the deterioration of PVC pipes during the usage period. These; HEAT and LIGHT. Heat degradation occurs by hydrogen chloride release. Due to the resulting gas pipe yellowing occurs.Redness redness brown and black colors are seen in the color of the pipe according to the degree of failure. 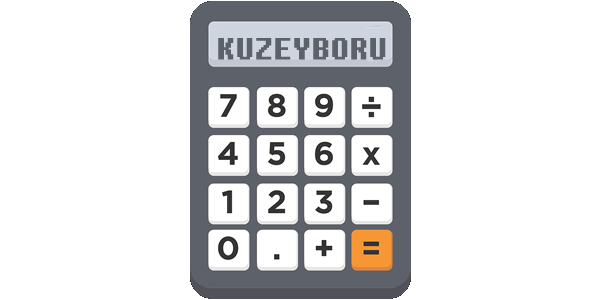 Kuzeyboru PVC pipes are exposed to UV radiation or gamma irradiation when they do not contain UV additive. Kuzeyboru PVC-U pipes are not brittle because they are crystal structure. But in materials such as polyethylene and polypropylene? - It has a crystal structure of 85 percent. Here is the reason why crystal is important; the more crystalline the structure is the more fragile it becomes in the sunlight. If we explain the point that causes Polyethylene and Polypropylene material molecules parallel to each other PVC is mixed in a mixed way so it is difficult to break the bonds of PVC.In addition PVC pipes should be manufactured in the wall thickness specified in the standards specified in the pipeline and more than 9% of calcite should not be used. Otherwise even if the pipes pass the pressure tests they will eventually run out of life in a shorter period of time.One of the most important factors affecting the quality of the pipeline is the joining process in the pipeline. Leakage occurs at the beginning of the problems that occur in the pipeline and this occurs at the jointing points. In order to prevent this the diameter difference between the pipe to be joined should not be more than 4%. If this diameter difference is exceeded the problems mentioned above are likely to occur. Because two pipes will pass each other abundantly and from that point on they will start leaks. 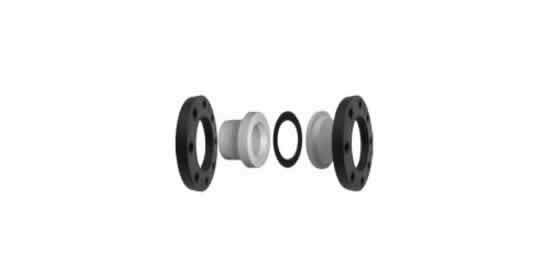 In the case of pipes and fittings it is important that they are taken from the same company. Because each firm may have different tolerances this will cause difficulties in the joining process. One of the most commonly known mistakes in PVC raw materials is that PVC is dangerous because it has a flammable effect. The temperature required for the self-ignition of the PVC raw material is 450 oC. However the melting point is very low and has very fast burning properties. After burning HCL (salt spirit) occurs. From this point of view there is no relation with the combustion of Carbon Monoxide gas PVC which causes poisoning during fire. We know that the spirit of salt here is also poisonous but people can perceive the smell of poisoning by detecting odor even in the small amount of odor like 5 PPM in the salt spirit. In a nutshell a burnt PVC pipe emerges as a spirit of salt and when people take the scent of this salt spirit they perceive it as a fire harbinger. So PVC is stimulating people instead of fire. When we open PVC to open fire it will naturally burn like other plastics. But when we draw from fire this fire will stop immediately. The reason for this is that as we mentioned above the salt spirit formed during the burning occurs and the oxygen in the burning area is cut out and extinguishes the burning place.To summarize what we have explained above; PVC raw material is NOT FIRE EXTINGUISHING THE FIRE IS RIGHT instead. In 1930 there was no report about PVC that had been tested or approved for use in industrial technology. More importantly PVC is one of the leading plastics approved by the World Health Organization for the storage and transport of food products. But there is an important issue here; In the course of the polymerization process the amount of Vinyl Chloride may be a risk if it is left in the raw material to threaten human health. However thanks to closed reactors this amount can be followed and the polymerization process is continued until it falls to 1 PPM or 1 million. Thanks to this progressive technology there will be no situation that will affect human health after the procedure. Such that the materials used in the medical field are also used in PVC. The reason for this is the fact that the tests carried out and the one of the most important features of PVC are not in a structure that will affect human health. * Kuzeyboru Pvc Pipes Due to the light weight and easy to carry. * Kuzeyboru PVC pipes does not create environments that allow microorganisms to reproduce. * Kuzeyboru PVC pipes are resistant to internal and external pressure. 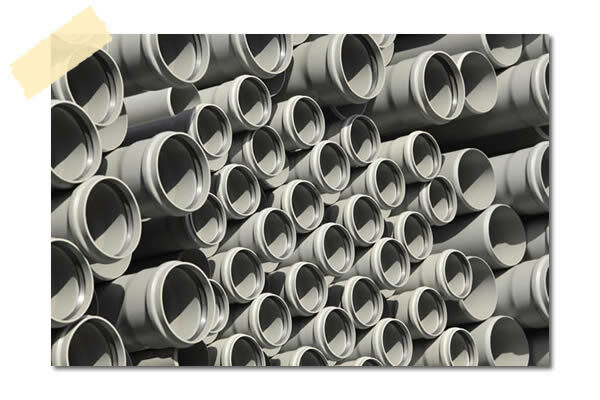 * Kuzeyboru PVC Pipes Long-lasting and resistant to corrosion and corrosion. * Kuzeyboru Pvc Pipes Pressure loss is low. * Kuzeyboru PVC Pipes Surface is bright and smooth. * Kuzeyboru PVC pipes are not flammable. * Kuzeyboru PVC Pipes are of high impact durability. 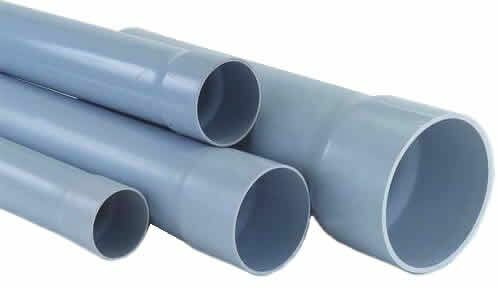 * Kuzeyboru PVC pipes are fully compatible with pressure fittings. * It is suitable for all kinds of fluid transport with high resistance to chemicals. In the table below we can see that PVC pipes are in a very good condition against many chemicals and acids. The kuzeyboru Pvc Pipes is produced from the beginning to the end with superior technological infrastructure. Kuzeyboru Pvc Pipes safely in your projects with durability and proven 100-year lifespan. Kuzeyboru Pvc Pipes produces solutions suitable for your projects and be near of the every prosess on production. Kuzeyboru Pvc Pipes will be indispensable for your projects with high quality and reasonable price. Get in touch immediately.